The last Tsaritsa of Bulgaria was an Italian Princess called Giovanna Elisabetta Antonia Romana Maria. 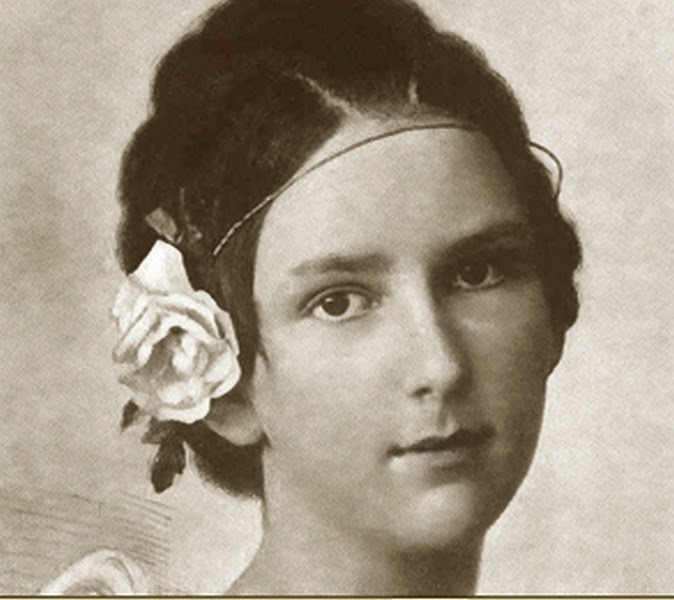 Born in Rome on 13 November 1907, she was the fourth child of King Vittorio Emanuele III and Queen Elena of Montenegro. 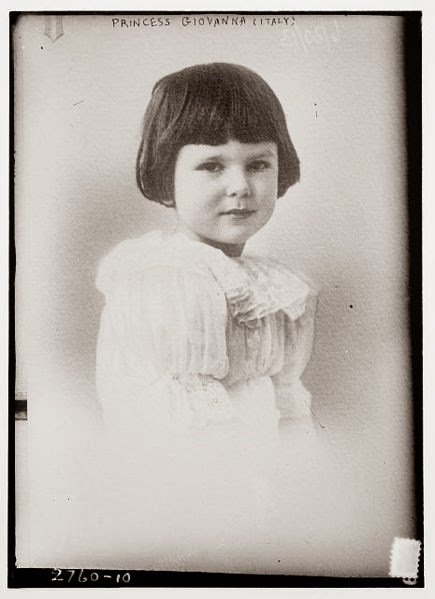 A bright, clever and kind little girl, Giovanna spent most her childhood at the Villa Savoia, under the close supervision of her strict governess. Being a girl, her duty in life was to marry a foreign prince to forge or maintain a political alliance. She therefore was given an excellent education that would make her fit for her future position. She studied English and French, history, literature, and music (she could play both the piano and the cello). As Giovanna grew up, several potential suitors were considered, but, in the end, the choice fell on the Bulgarian Tsar Boris III. The two had first met in 1927 when the Tsar, together with his brother Kyril, was touring Europe. But on that occasion, the Tsar didn’t pay much attention to the Italian princess. 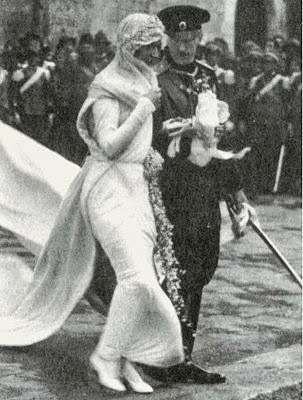 The couple then met again in 1930 at the wedding of Giovanna’s brother, Crown Prince Umberto, to Belgian Princess Maria Jose. It was now that a marriage between Giovanna and Boris was proposed, but there was one obstacle: religion. 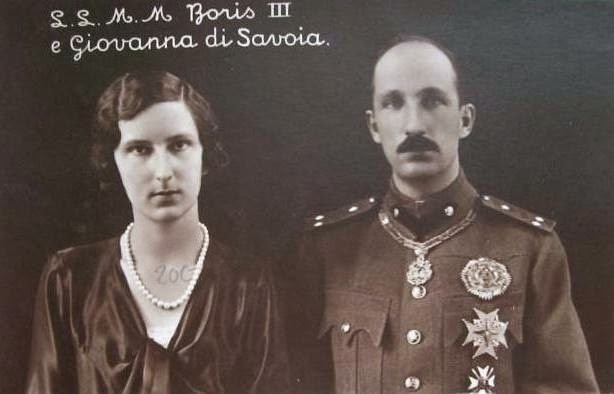 The Italian royal family was Catholic while Boris had had to become an Orthodox Christian to please his subjects. Pope Pius XI said that the Church would accept the marriage only on condition that any child resulting from their union was brought up as a Roman Catholic. Negation were difficult, although both the Tsar and Giovanna refused to marry anyone else. The princess vowed to join a convent if she couldn’t marry Boris, while the Tsar threatened to remain a bachelor if he couldn’t have Giovanna as his wife. Eventually, Boris agreed to the Pope’s request (but refused to sign any agreement to that effect), and the couple tied the knot on 25 October 1930. A second, this time Orthodox, wedding ceremony took then place in Bulgaria. That day, Giovanna also took the Bulgarian version of her name, Ioanna. In 1933, Ioanna gave birth to the couple’s first child, Princess Marie-Louise. Much the Pope’s chagrin, the baby was baptized into the Bulgaria Orthodox Church. And so too would be her brother and heir to throne Prince Simeon, born in 1937. Only Ioanna would always remain a devoted Roman Catholic, although she was very respectful towards the religion of her new country. The royal family lived a tranquil and happy life. According to the Tsarina, “the secret of domestic happiness is to be found in the kitchen,” and she spent many hours there cooking meals for her family. She also did a lot of charity work. But Europe was on the brink on war. And war broke out a couple of years later, when Hitler invaded Poland. The Bulgarian royal family hoped to stay out of the conflict. But when the Axis troops conquered and instituted pro-Nazi regimes in Easter-European countries such as Yugoslavia, Hungary and Romanian, the Tsar had no choice and reluctantly agreed to a limited alliance with Germany. According to the Tsar, his ministers were pro-German, while his people pro-Russian, his wife pro-Italian, and he himself neutral. Both Boris and Ioanna, though, were appalled and horrified by Hitler’s actions, and refused to take part in any of his plans, particularly the deportation of Bulgarian Jews to Germany, where they would have been murdered. The Tsariana personally intervened to procure visas for Bulgarian Jews so that they could escape to Argentina. When the Tsar died after a brief visit from Hitler, in which the Nazi leader had berated him for being uncooperative, in 1943, there were rumours the Fuhrer had had him poisoned. His wife was distraight at her loss. She was also worried about her son. Simeon had become Tsar aged only 6 and there were now three regents ruling for him. Whether Hitler had really killed the Tsar is unclear, but he wouldn’t harm Simeon. He couldn’t anymore. Germany lost the war and, although Bulgaria hadn’t taken part in the invasion of Russia, the Russians still invaded the country and forced it to become a Soviet satellite state. Then, the regents were murdered and the Communists staged a referendum to justify the abolition of the monarchy. Ioanna was given only 48 hours to flee into exile with her children. 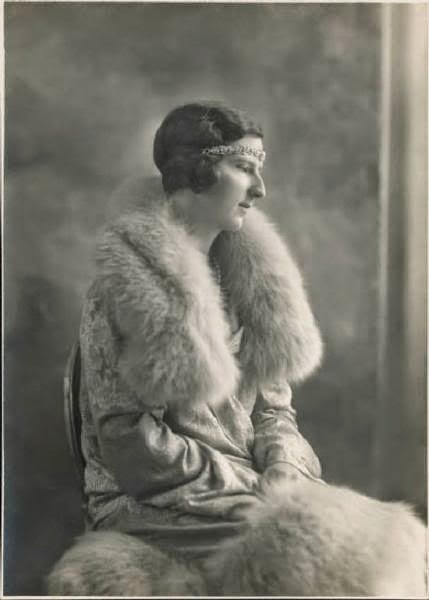 They first sought refuge with her father, King Vittorio Emanuele III, in Egypt, and then to Spain, and finally to Portugal, where her brother King Umberto II lived after the fall of the Italian monarchy. 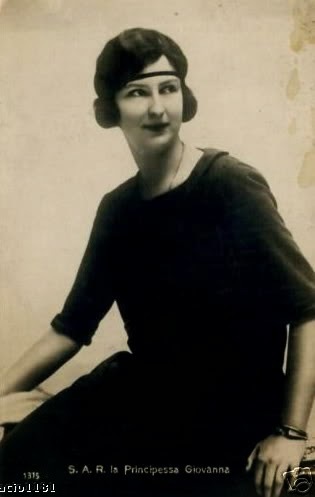 Ioanna returned to Bulgaria in 1993, after the collapse of the Soviet Union, to reinter the heart of her husband, which had been buried separately and thus had not been destroyed with the rest of Boris’ grave and remains in 1954 by the Communists. The people, remembering her kindness, welcomed her with open arms. 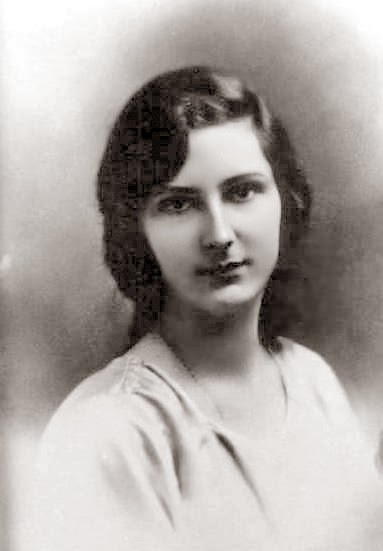 Ioanna died on 26 February 2000 in Portugal, and was buried at the Basilica of St Francis of Assisi, in Italy, where she had married her beloved Boris.